Experience the look of natural stone in your bathroom, at a fraction of the cost. We offer over 100 styles and colors. brings everything you love about natural stone without any of the hassle or maintenance. 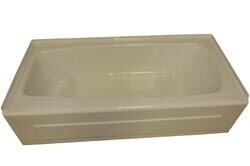 No sealing required, is a non porous material made especially for made for bathing areas. You can experience a new bathing area in as little as one day. Acrylic walls are a popular product in today’s bathroom renovations, which comes in a array of styles and colors. Acrylic walls also resist water, mold and mild dew, and are made specifically for the wet area. Acrylic walls can be installed in one day, along with a replacement base. Elite’s acrylic supplier is here in Chicago land, making it more affordable for everyone. Just think, your new bathroom is now more affordable than ever. 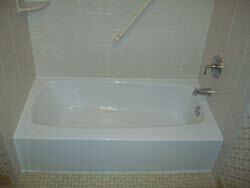 Elite Bath Solutions has over 15 years experience in bathroom remodeling. During that time we’ve managed to tile a few bathrooms. We always use the best tile backer called “Durock.” If you have a tile in mind for your bathroom, let us install for you. 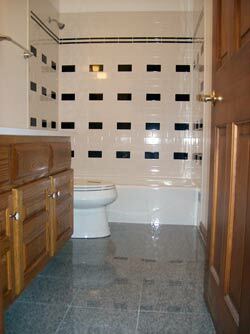 We can provide the tile or work with the tile you provide. Let us customize your bathroom. Custom tile layout, customer approved!! Customize your bathroom for you. We offer Moen plumbing fixtures, a trusted name in the industry installed in millions of homes world-wide. Moen offers a variety styles and colors. We also provide grab bars and shower seats which meet today’s safety requirements. Finally shower doors and shower rods to finish it off. Need to remodel more than just the “wet area” no problem. 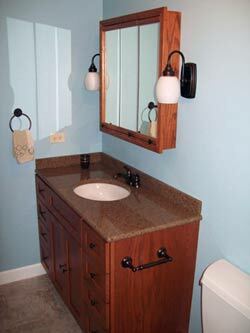 Whether you’re updating the floor and vanity or a full service bathroom remodel. Elite can easily replace old floors to give your bathroom a new look from all angles. 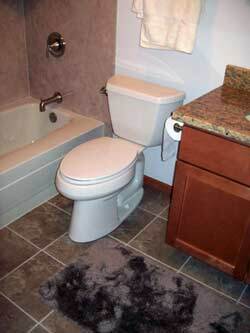 Elite can also complete full bathroom renovations in a timely fashion. We’ll walk you through the process step by step so you get the bathroom you had in mind. Also ask about our matching line accessories. Elite is proud to offer a wide variety of replacement bases. Our supplier American Acrylic and Injection Inc is on the leading edge of the industry. All bases are made from Lucite Acrylic sheets, giving your bathroom long lasting beauty. Experience a solid cast acrylic base, yes in little as one day!!! Family owned and operated with 10 years of experience in ONE DAY bath remodels. Providing you with the best product for your bathroom and with outstanding service warranty. We also offer a variety of options for the rest of the bathroom, tile, vanity's counter tops, plumbing, and lighting, all easy to design and budget friendly. Let us help you design your bathroom today!